Align is a single strain probiotic supplement, which means it contains only one probiotic strain. In my review, I’ll look at the pros and cons of this probiotic supplement to help you make an informed decision before you buy. How Does B. infantis 35624 Affect Our Health? If you’re planning to use Align Probiotic Supplement to relieve IBS symptoms, you may want to rethink it. Studies show that while B. infantis 35624 mixed with other probiotic strains can be effective against IBS, the same probiotic strain on its own didn’t improve IBS symptoms at all. Therefore, in this case, a multi-strain probiotic supplement will be much more effective. Some claim that B. infantis 35624 relieves bloating and abdominal pain. However, in a 2017 study, a group of 275 people complaining of abdominal discomfort was divided into two groups. One was given a placebo and the other one B. infantis 35624. What’s interesting, both groups reported the same level of abdominal pain relief and only slightly more B. infantis 35624 patients reported relief in bloating. It could mean that the placebo effect was either very strong or that B. infantis 35624 is not the most effective when it comes to relieving abdominal discomfort. A 2013 study found that B. infantis 35624 has got a positive effect on people suffering from ulcerative colitis, chronic fatigue syndrome, and psoriasis. This is pretty impressive as the conditions are completely different and affect different parts of our body. It turns out that by boosting the immune system, B. infantis 35624 has got an anti-inflammatory effect and it’s able to relieve inflammatory diseases. Another study found that B. infantis 35624 is able to reduce the effect of salmonella infection by stimulating the immune system. It’s very conveniently packed in blisters. Each blister carries seven capsules labeled with one day of the week. It makes it difficult to forget to take your capsule. It doesn’t need refrigeration, so it’s easy to take it with you when you travel. However, it’s always best to keep your probiotics in the fridge to make sure the capsules retain as many live cultures as possible. I like the fact that they offer a 60-day money back guarantee. So if you’re not happy with the product, you can send it back and get a full refund. For this reason, it’s worth to try Align Probiotic Supplement. But I still don’t believe it’s as good as multi-strain supplements. It’s manufactured by a reputable company called Procter & Gamble. It’s an American consumer goods producer established in 1837. 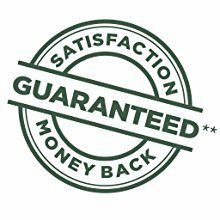 They’re known for making high-quality products and they’re a trusted brand, that’s why you definitely rely on their money back guarantee if you need it. First of all, it’s a single strain probiotic supplement. Research shows that multi-strain probiotics have got a much better effect on human health than a single strain. Each probiotic strain benefits our health in a different way, and sometimes they reach their full potential only when they’re combined with other strains. In my opinion, it’s best to go for a multi-strain probiotic supplement, such as Garden of Life Ultimate Care with an impressive selection of 34 probiotic strains. The CFU count is extremely low. As not all probiotic cells within the supplement will survive the journey from the factory to your store let alone from the store to your home and then through your digestive tract, few probiotics will actually reach your gut to colonize it. 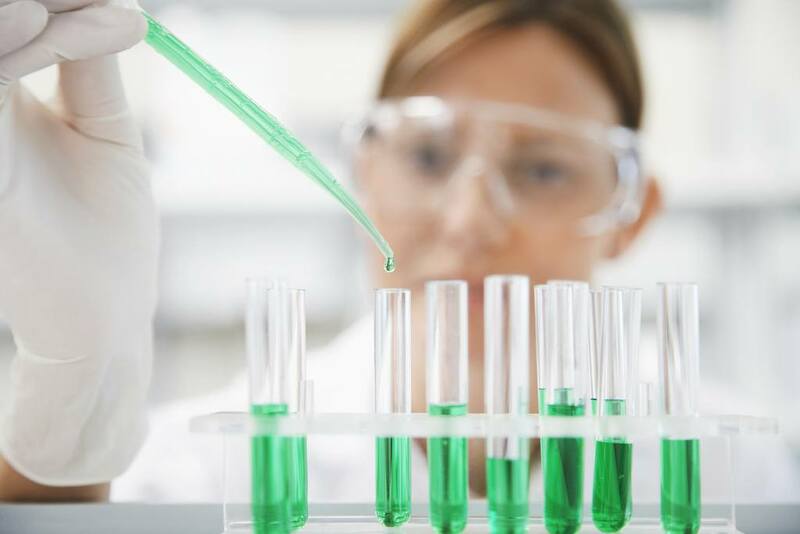 It’s better to pick probiotic supplements with a higher CFU count to ensure that a much higher number of live probiotic cultures will be able to benefit your health. I don’t like the ingredients either. Titanium dioxide is a potentially carcinogenic compound. Some probiotic supplements, such as Ultimate Care, contain only vegetable cellulose apart from probiotics, and it’s a much safer option. Align probiotic supplement contains milk, which is a huge disadvantage if you’re lactose intolerant or if you’re allergic to dairy. 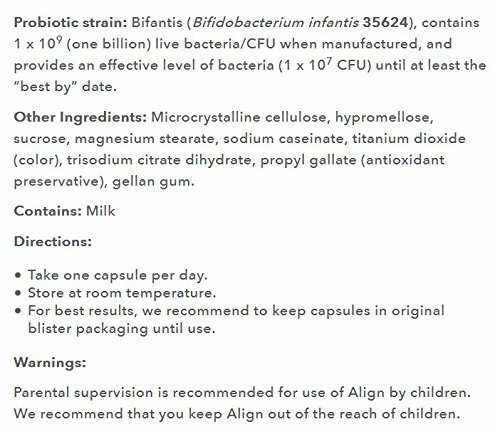 I’m not impressed with Align Probiotic Supplement because it contains only one probiotic strain and a very low CFU count. You can get much better probiotic supplements for much less money guaranteed to make a big difference to your health. My personal favorite is Garden of Life Ultimate Care, it’s got not only a high CFU count and many probiotic strains but also natural vitamins and minerals derived from fruit. So it can be your probiotic supplement and vitamin supplement at the same times. 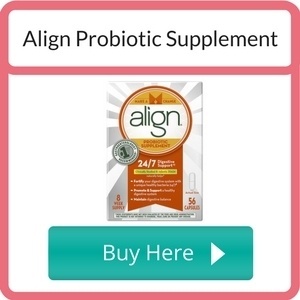 Have you ever used Align Probiotic Supplement? Do you think it’s a good product? Please share your stories and questions in the comment section below.